Double Americano with sugar, from the local cafe. With a bold, double shot of espresso, Americanos are courageous coffee drinks that will fuel a rowdy adventure. The American soldiers who invented the drink while stationed abroad knew they wanted a traditional cup of coffee and rather than be concerned with the specifics (Gryffindor recklessness), they just dumped some hot water in the thick, strong European espresso, softened it with some sugar, and galavanted off. There's a slight arrogance to that approach, which fits well for Gryffindor. But what the drink lacks in sophistication, it makes up for in tenacious valiance - it won't let you down. Dark roast drip coffee, lots of cream and sugar, brewed at home. There's none more dependable than this House, unless it's the timer on your drip coffee machine. The familiar smell of already-brewing coffee helps cheerful Hufflepuffs wake up on the right side of the bed every morning. Though some would say this drink is too simple or too humble, the Hufflepuffs don't mind. The drink is dependable and delicious, perfect for cuddling up in a favorite chair and having a slow, sweet morning. While they love pitching in and helping out, Hufflepuffs aren't trying to work too hard, making a timed drip machine the perfect brewing method for their laid-back lifestyle. Single-origin Aeropress, whipped with grass-fed butter. Ravenclaws know that you get the best flavors out of a single-origin coffee, especially when brewed with precise ratios. 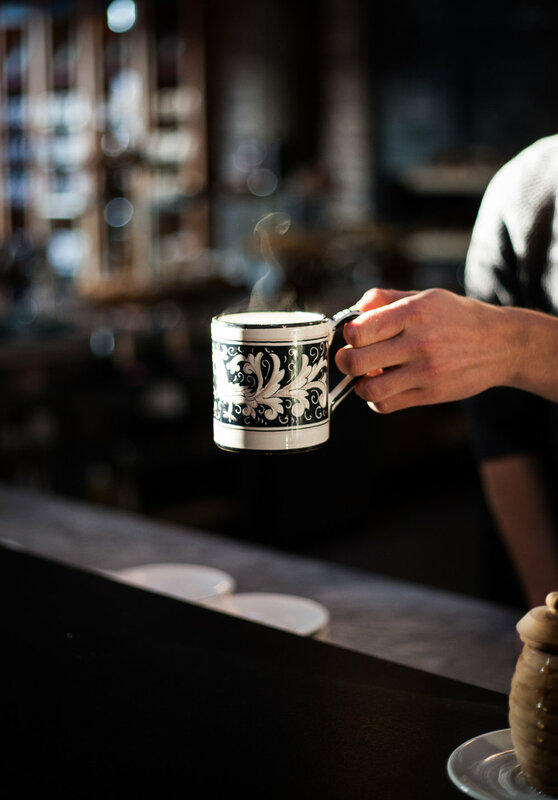 They love hauling out the coffee equipment every morning (Aeropress, scale, grinder, filter, ergonomic mug, frothing wand) and crafting an objectively perfect cup of coffee, adhering to the rules of chemistry as well as time-tested traditions. However, their hungry brains demand nourishment, so they use their morning cup as an opportunity to fuel up by whipping butter into their brew. Just like the Bulletproofers, they'll talk your ear off about how their preferred drink boosts cognitive function and how grass-fed butter has just the right ratio of omega-6 to omega-3 fatty acids. Flash-brewed iced pourover, no fixings. Cold and exacting, this drink is perfect for Slytherins. Flash-brewing involves weighing your coffee and calculating the water ratio, then using a precise amount of hot water to brew coffee on top of a precise amount of ice, which melts together to result in an already-cold (but not watered down) drink. Splitting their coffee's H2O between hot water and ice honors their duplicitous nature, and allows them to flex their cunning complexity early in the morning. It's an ambitious way to brew, but for Slytherins, the ends justify the means.